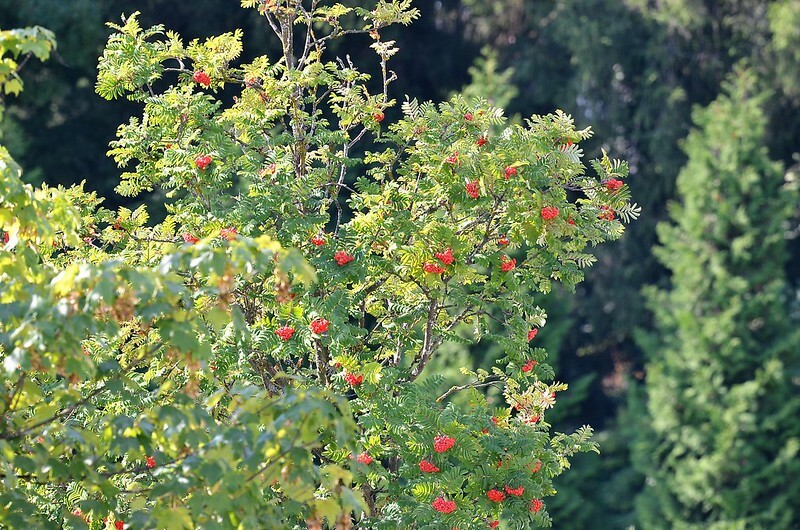 Something completely different: a rowan tree, the one that has the pretty clusters of berries in Autumn. We have a few in our estate, much to the delight of the birds. 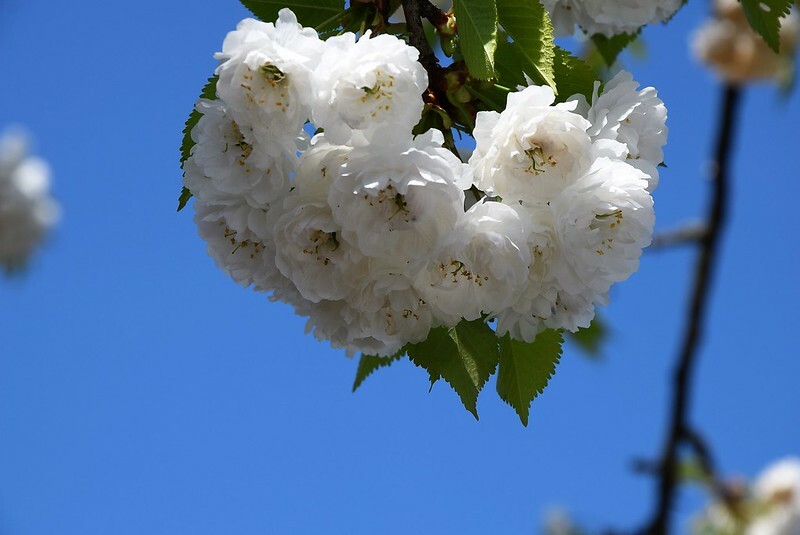 Here we call them “Vogelbeerebaum” which literally translated would mean Bird berry tree. 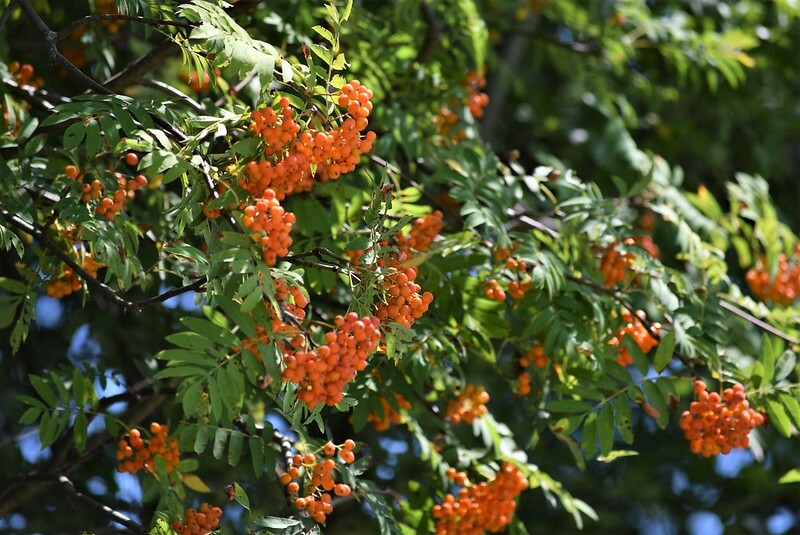 When they finish flowering they have clusters of orange coloured berries, which most of us know. As a child my mum always said do not touch them, the are poisonous. We have a few growing on our estate and this spring, for the first time, I took a closer look at their flowers. I never realised what a beautiful tree it is when blossoming. The flowers are like small roses and so pretty.